It’s been barely a year since I last talked to actor Vincent D’Onofrio, and he’s already got himself another badass redux on his hands. The co-star of Jurassic World is back in The Magnificent Seven, an all-star remake of the classic all-star western (which was itself a remake of Seven Samurai). 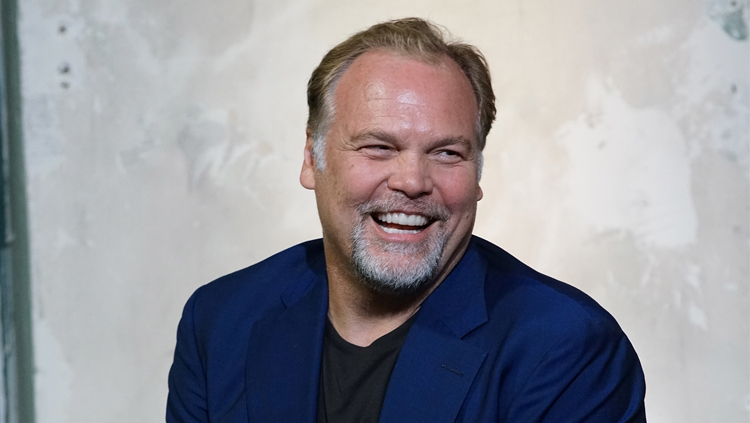 This time, D’Onofrio shares the screen with Denzel Washington, Chris Pratt, Ethan Hawke, Manuel Garcia-Rulfo, Martin Sensmeier and Byung-hun Lee, and it’s such an impressive cast you can’t help but wonder what the hell they talked about on set. 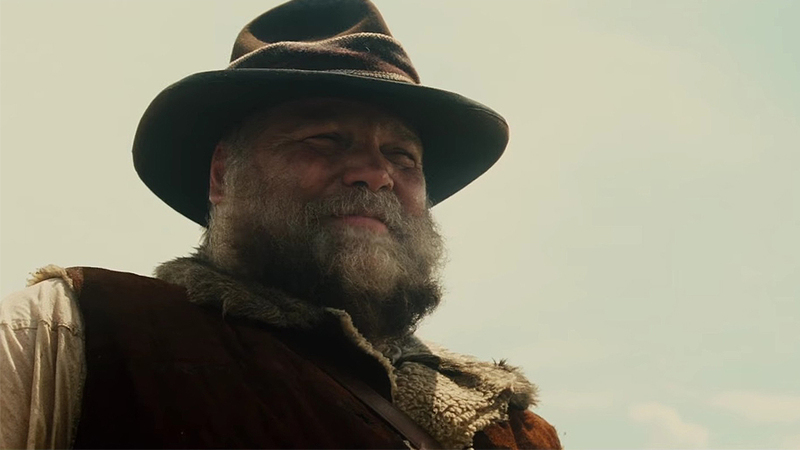 I sat down with Vincent D’Onofrio shortly before the film’s premiere at the Toronto International Film Festival to find out if the Magnificent Seven are as magnificent in real life as they are on camera, and sure enough, he says they experienced a genuine bond unlike any other cast. Find out more in this exclusive interview, below. Crave: When it comes across the desk are you like, “This is awesome! We’re doing The Magnificent Seven!” or is there an element of worry? Vincent D’Onofrio: Well, immediately there’s an element of worry, but you know, if the script was just arriving with nobody attached to it and no director and everything, you would be like, “Eeegh…” But then you get the script knowing that [Antoine] Fuqua is going to direct it, you get it knowing that Denzel [Washington] is going to play the lead in it, and right away the cool factor is like unbelievable. Yeah, a lot of the time they’re good. But here you’ve got horse stunts and knife throwing. Did you get to do any of that stuff yourself? Did you get to trap animals for research, anything like that? No, there was no trapping of animals but we were all using the weapons ourselves and we were all doing all that stuff. You’ve been around, you’ve been using weapons before in films. Is it different in a western at all? Is it a different aesthetic? It is different. The guns are heavier, they’re louder, they’re not as accurate. But a week or two in everything just becomes gunplay and you don’t think twice about it. 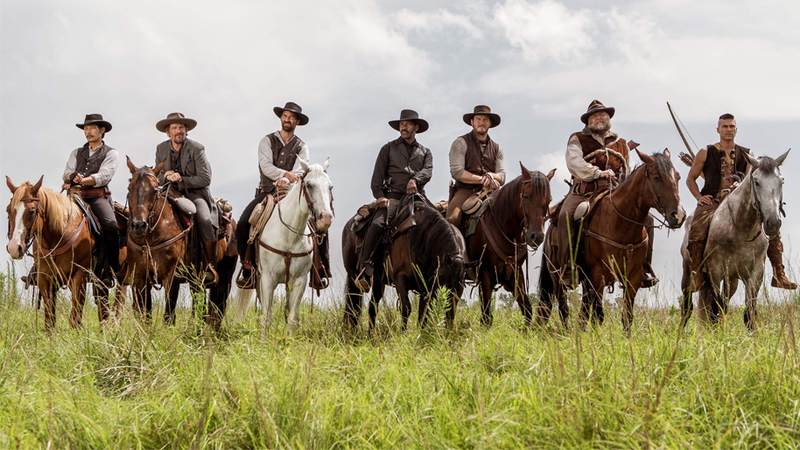 When you think about the original Magnificent Seven, or The Dirty Dozen, or the new Magnificent Seven, a lot of the appeal – you’re right – is the ensemble cast. For a lot of the people at home you just think to yourself, “It must be cool to hang out with those guys.” What was that cast dinner like? 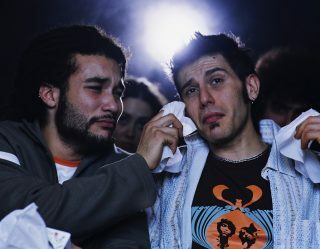 Was there a sense of camaraderie or did everyone just go back to their trailers at the end of the day because it’s a gig? Yeah, nobody went back to their trailers. What do you do? Did you all play Uno? What do you do? Um… I’m not sure we ever played Uno, but if somebody had had a deck we probably would have. I can’t tell you enough of how close we all are. We didn’t leave each other’s sights, it was that intense. We all fell in line, perfectly. We spent every moment that we could on set together. I mean, we rode together, we went shooting together. I mean Chris [Pratt] was already a friend of mine and Ethan [Hawke] has been a friend of mine for 20 years, but the fact that those two got along, for me, was great because they’re both good friends of mine. But Manuel [Garcia-Rulfo] and Martin [Sensmeier] and Denzel and Byung-hun [Lee], you know, we had incredible dinners, incredible cigar-smoking. Just sitting on the set in 110 degrees in the shade and wearing fur and full-out costumes and hats and stuff, it was a constant blast. I mean we worked our asses off and some of it was really hard and scary at times, because some of us did some dangerous things, but so much fun. And these guys, I mean, a two-week period doesn’t go by where Chris and I don’t speak. Ethan and I speak almost every day. Manuel and I, we talk all the time. Martin has become close. It couldn’t have been better. Your close, but are you “help me move” close? Or is it more of a really close working relationship? I don’t want to pry but I am curious how tightly knit you get. I think that would be the spectrum: “Help me move” to “What do you think about this line or that line” on set. “Can you help me write this little bit here?” and “What do you think of this?” and “Does this work or should I get rid of this?” It’s all the way to talking about our kids and helping each other out with our kids, to making sure our wives are good, to actual on-set work where we approach the director together about things, where we alter the script together? How would you alter the script, for example? Well, I won’t say too much about it because it’s kind of inside stuff. It’s not for anybody to know, as far as I’m concerned. But you’re presented with a scene and the scene works in several different ways. What’s the best way that we want to make it come out on film? Like, what’s the best-finished product of this scene? So when you get along with guys and you respect them – guys and girls, Haley [Bennett] as well – you work on that, and with the director everybody decides what’s the best version of this scene. So it becomes very specific and very intricate and any less talent, or any less of a person, might find it difficult to do that. How did you come across your voice? You have a very particular voice in The Magnificent Seven. What inspired that, in particular? I was doing research on a part, years ago, and there was… I can’t really say who it was but he worked for Scotland Yard, and I wanted to meet him for a long time and I had read articles on him and seen pictures of him and I met people that knew him, and I wanted to talk to him about something that I was doing. I knew that he was like this huge guy. He was 6’6” and he had big curly hair and he had hands the size of baseball gloves. He was the huge guy and I had never met him, but I talked him and emailed him back and forth. We had just emailed back and forth, and one day in a cafe in England he came in and I knew it was him because when he walked through the door the light from outside completely shut out of the room. He covered the whole door when he walked in, this guy, and he came in, sat down, shook my hand he goes, “Hey, really nice to meet you!” [in Jack Horne’s high-pitched, raspy voice]. This giant, massive guy. And I was like, “Wow, that’s not what I expected him to sound like.” Of course, we got along great and everything, and by the end of the conversation, to me he was just another guy. But I thought, you really can’t peg anybody in this world. You think you know and you don’t. So that’s where the idea came from. Your voice when you play the Kingpin, for example, is also very particular. Did that also come from another individual that you had met? The Kingpin, his voice is purely emotional. There’s a certain thing that I do – I don’t want to talk about acting too much – but there’s a certain thing that I do, an emotional thing that I do, that I always look through the lens of that particular emotional thing when it comes to Kingpin. So that voice comes from that. Is the voice the most important part? Is it the walk as well? It’s all important. None of it’s “most” important. It’s all part of the deal. I read an interview with Liam Neeson once where he said once he’s got the walk, it defines the character. Yeah, yeah, a lot of people are like that too. I know. There’s people that, I talk to actors all the time with many different techniques and I know. Some of them, once they find the tone of the [character]’s voice, that’s like everything. There’s many things. My technique, where I learned how to act, is it’s all-encompassing. Everything is. It’s not just one thing for me. It’s got to be several choices that make the character for me. But so many people work in so many great ways that, you know. Was there a disparity on The Magnificent Seven? Did some people need to meditate for a while to get into character or did you all fall into the same rhythm after a while? We all fell into the same rhythm. That must be really, really cool. It’s so cool! I can’t tell you how cool it is. I mean it’s the best thing in the world. 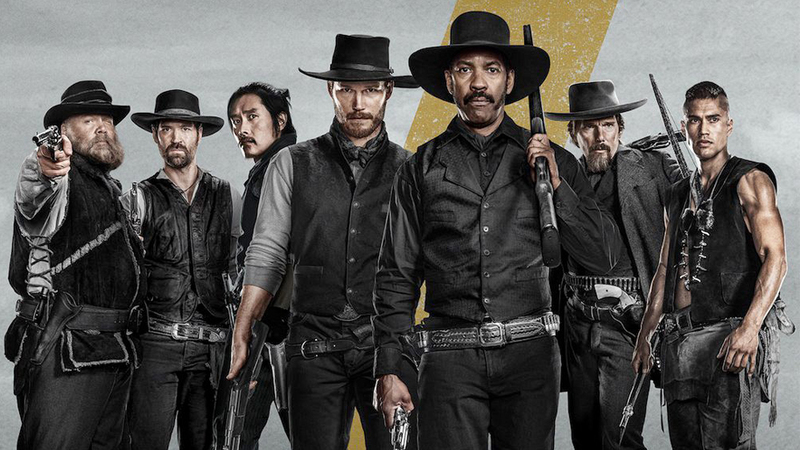 You hear stories sometimes about how the movies that were fun to make don’t always turn out to be fun movies, but that sense of camaraderie really comes out in Magnificent Seven and I think that’s a large part of the movie’s appeal. I’ll give you an example. I won’t name names but I’ll give you an example. We’re digging ditches for a scene, it’s all of us. Something unexpected and tragic happened in somebody’s life that day or the day before, and they had to leave. And we’re all in this ditch, the sun is coming down, the whole 200 crew is shooting us. The sun is going down, it’s the last shot of the day, and some of us are religious, some of us are not. I’m spiritual but I’m not religious in the typical way. But we’re digging this thing and we’ve all got the same thing on our mind, this tragedy that happened, and we all just kind of stopped for a moment. Now the cameras are rolling, the director had already said “action.” We’re all kind of looking at each other and I’m talking about all the guys, not two of them or three of them but all of them, and Chris says, “We should take a moment for so-and-so.” And so we all kind of looked at each other and we all bowed our heads and we took a moment for each other, and for this person, and picked up our shovels and started digging again. But it was a real moment between that many men and it was a real moment, like a real moment, and you couldn’t do that on just any set. I imagine not. How often does an experience like that come along?